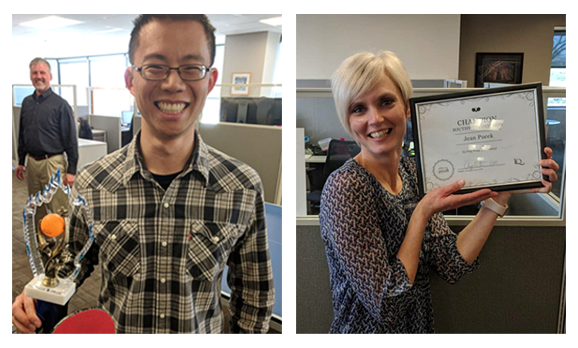 Thanks to the team spirit and organizational skills of software engineer, Andy Yeung, IQ held an after-work ping-pong tournament with plenty of healthy competition and fun! And who came out on top? Sam Cheng, software engineer, won the coveted trophy, while Jean Pucek, Director of Operations, took home the Southwest division championship. Congratulations!